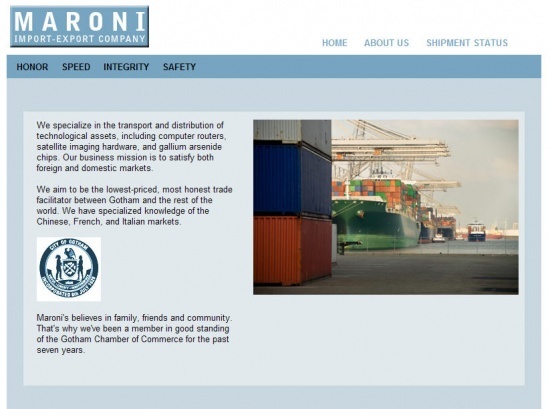 From a new email from Jim Gordon to Glenn Barhyte, Gordon mentions Maroni's import business. From this information, Maroniimports.com is found. We specialize in the transport and distribution of technological assets, including computer routers, satellite imaging hardware, and gallium arsenide chips. Our business mission is to satisfy both foreign and domestic markets. We aim to be the lowest-priced, most honest trade facilitator between Gotham and the rest of the world. We have specialized knowledge of the Chinese, French, and Italian markets. Maroni's believes in family, friends and community. That's why we've been a member in good standing of the Gotham Chamber of Commerce for the past seven years. Salvatore Maroni is the owner/operator of Maroni Import-Export. He is a business owner, father, and semi-professional bocce ball player. He is known as a pillar of the Italian-American community in Gotham. Salvatore Maroni has started a charity program to give back to the community. Maroni's Imports gives 3% of its profits to worthwhile charities, to the less fortunate, and to the local authorities. We believe that Gotham City can best prosper when business, spiritual and civic interests come together. There is a page where you can track shipments via invoice number and last name. After the countdown ended on Whysoserious.com/Overture, Maroniimports.com was "Jokerized" along with nearly every other website in the game. Batfan73 on the CFB forums allegedly has a shipment that needs to be activated in order to start a Citizensforbatman.org project. An update on Gothamcityrail.com reveals Batfan73 is GCR engineer Chuck Craston. 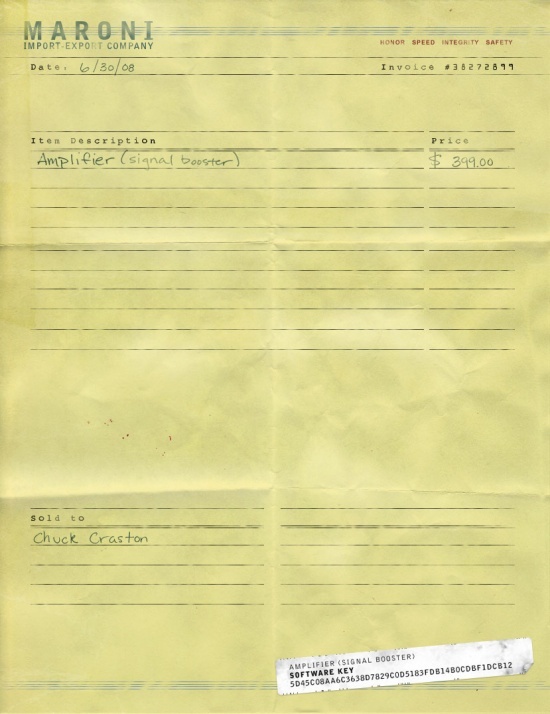 Using this last name and the invoice number from CFB on the shipment tracker brings up an invoice for one amplifier. 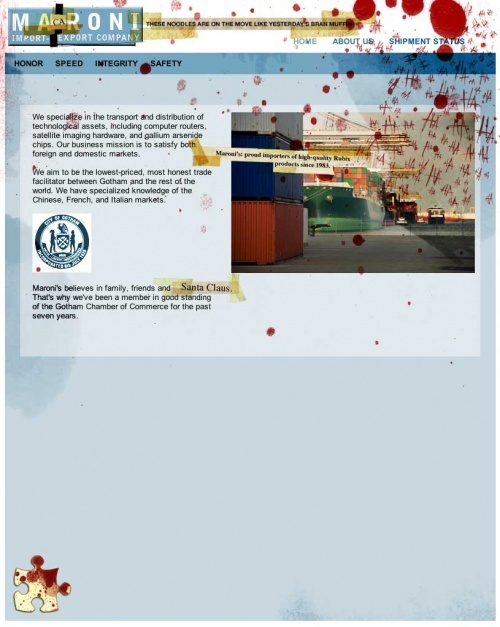 This page was last modified 00:26, 12 July 2008. This page has been accessed 13,030 times.